How does the Noah’s Law affect you? As you may be aware, the Noah’s Law came into effect not long ago. For those of you who don’t know about it, this law comes after officer Noah Leotta was killed by a drunken driver in Rockville, in December last year. The driver that caused the accident admitted in a police report that he had been drinking that night. This tragic accident called into question our current laws on DUI and made people wonder about the need for another law, one that could prevent future similar accidents. Now, almost one year after Noah Leotta’s death, the law that was named after him is happening, and it changes the DUI rules of Maryland. 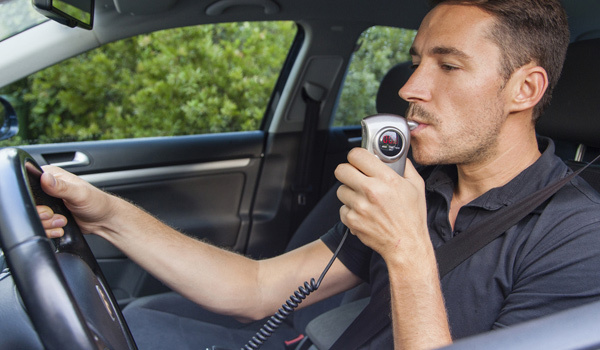 Repeat DUI offenders in Maryland needed to use an ignition interlock device every time they got into their cars so that they were prevented from driving if the breathalyzer result showed a higher blood-alcohol level than the one permitted by law. The same was for DUI offenders who had registered a BAC of 0.15 or higher. But first-time offenders with a BAC between 0.08 and 0.14 were not obliged to have this device installed in their cars unless they were ordered by a judge to do so. As from the 1st of October, the law changed. According to Noah’s Law, all first-time DUI/DWI offenders need to use the ignition interlock device now before getting to drive. In other words, you need to participate in this program if you were convicted of DUI (driving under the influence) or DWI (driving while impaired) when a minor under the age of 16 was present in the car. You also need to participate in this program if you were involved in a homicide or a life-threatening injury while being under the influence (DUI) or impaired (DWI). How does Noah’s Law affect you? If you find yourself in one of the above situations, according to this new law, you will need to participate in the program and use the ignition interlock device. For first-time offenders, the mandatory period into this program is of 6 months, while for second-time offenders the period extends to one year. If you are a third-time offender or you have been convicted of DUI/DWI more than three times, you will need to participate in this program for three years. Besides the need to take part in the ignition interlock device program, Noah’s Law also increases license suspension for refusals or administrative chemical test failures. For a BAC between 0.08 and 0.14, you can get a suspension of 180 days regardless if you are first-time or repeat offender. If the BAC is 0.15 or more, you get an 180 days suspension (for first-time offenders) or 270 days (for repeat offenders). In the case of test refusals, you may get a 270 days suspension as a first-time offender and 2 years as a repeat offender. These penalties also apply to underage drivers. What other laws came along with Noah’s Law? The motor vehicle insurance new law states that drivers need to have current insurance information that they are required to present through an ID car or in electronic format. If they fail to do so, the penalty for violating is law is $50. For those of you who have a passion for historic vehicles, according to a new law, you are not allowed to use it for employment, for commercial purposes or transportation to and from work or school. Also, vehicles that are from 1986 or newer may be required to have safety equipment repair orders issued at the roadside by law enforcement. There is also good news for those of you whose commercial driver’s license has been canceled because of the failure to submit the certificate of physical examination. If you still have the right to drive, your commercial license will only be downgraded to a non-commercial one. Coming back to the Noah’s Law, we have yet to see how it will change traffic in Maryland. But it is important to remember that you have rights, even if you are a suspect of DUI/DWI. For more information about checkpoint rights in Maryland, call the best Annapolis attorney at (443) 569-3950 or send us an email at [email protected] for a free consultation.